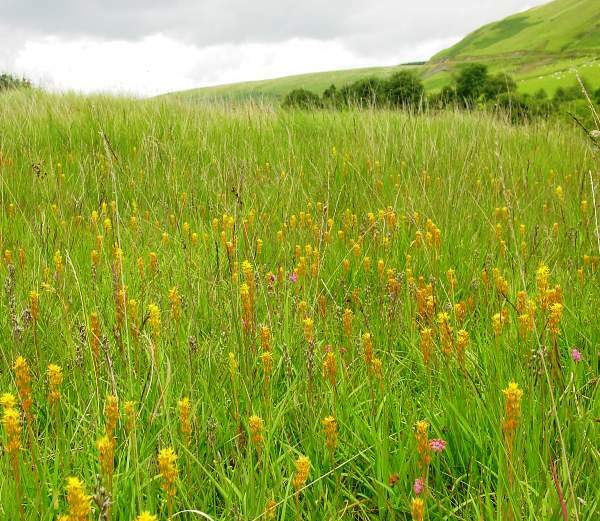 Golden yellow spikes of Bog Asphodel in an upland wet meadow, mid Wales. The yellow, star-like flowers are most attractive when viewed up close. Bog Asphodel is widespread in Ireland, and in the UK it is more common in the north and west. 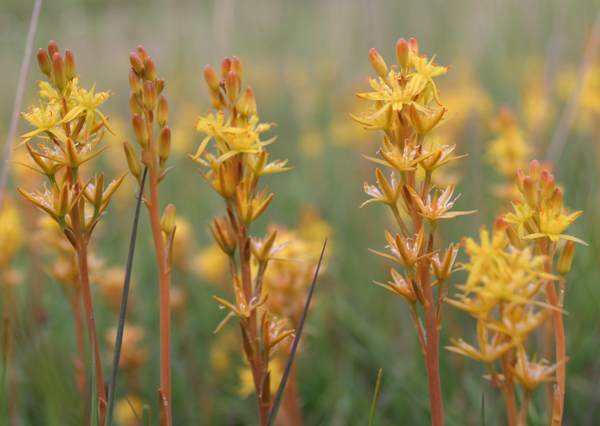 Often more familiar in autumn and winter from its overall orange colour as Bog Asphodel fruits, the flowers actually appear from June to August and can create a good display. 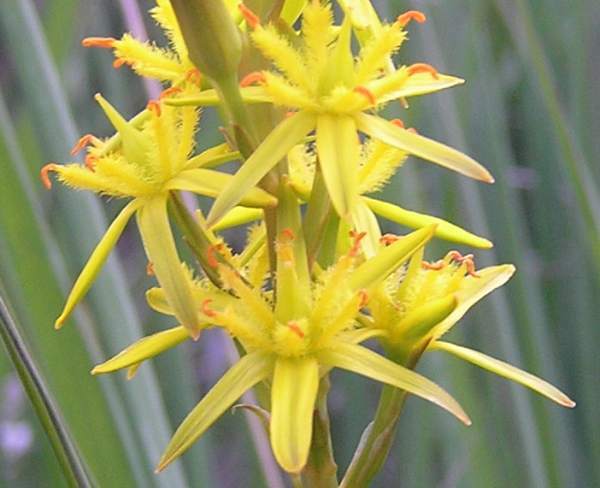 Bog Asphodel likes marshy ground and is usually found up in the hills on heaths and moors. Over the years the plant has been used to make yellow dye, and also as a substitute for saffron in cooking. The Latin name ossifragrum refers to the belief that the legs of sheep that grazed on the plant became brittle and broke easily. There is no evidence to support this, and it is more likely that the terrain favoured by Bog Asphodel, which is treacherous and also tends to be low in nutrients, was the real cause of such injuries to flocks of animals. The plants shown on this page were photographed in mid-Wales during June and July.